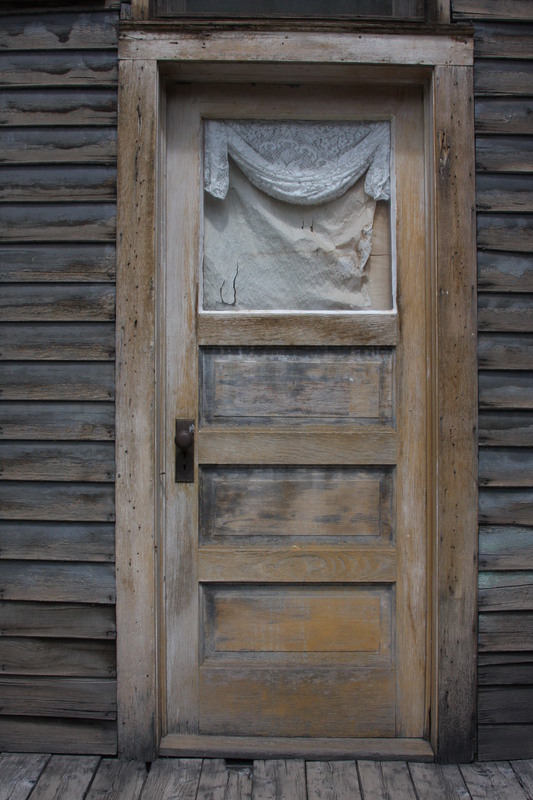 Windows, doors…all ways in and ways out, and important in our lives both physically and metaphorically. I have seen doors not just slam shut, but implode before me, leaving me left to pull pieces of splintered wood and glass from my heart, but no matter how hard it has been, there has always been a window, albeit one I might have to smash with my bare hands to get through. The doors and windows in my life now are welcoming and clear, and that’s a very good feeling. I love windows. 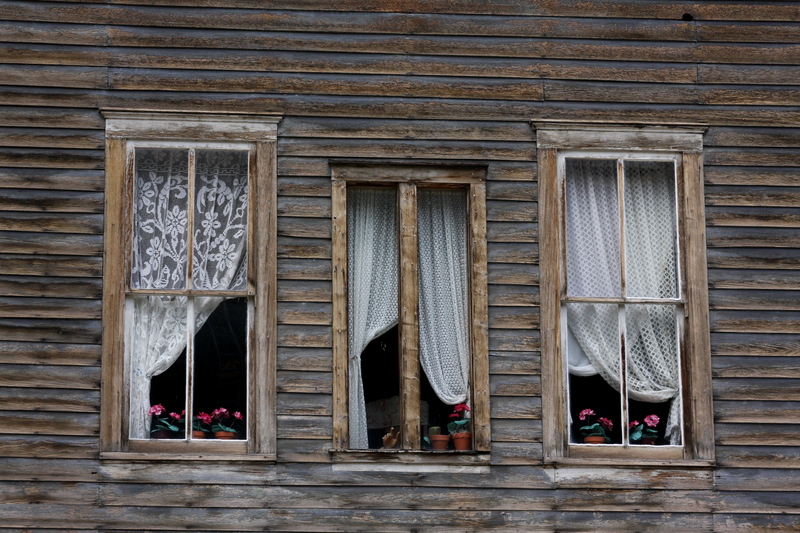 I love taking pictures of windows. I love light and how it shapes whatever it touches. The bungalow is a little bit dark, even though it has a big window in the living room; it’s a bit of a shotgun-style house, which I also love. But the bedrooms are light and when we put a new coat of paint in the living room, it will be much brighter. But I digress. 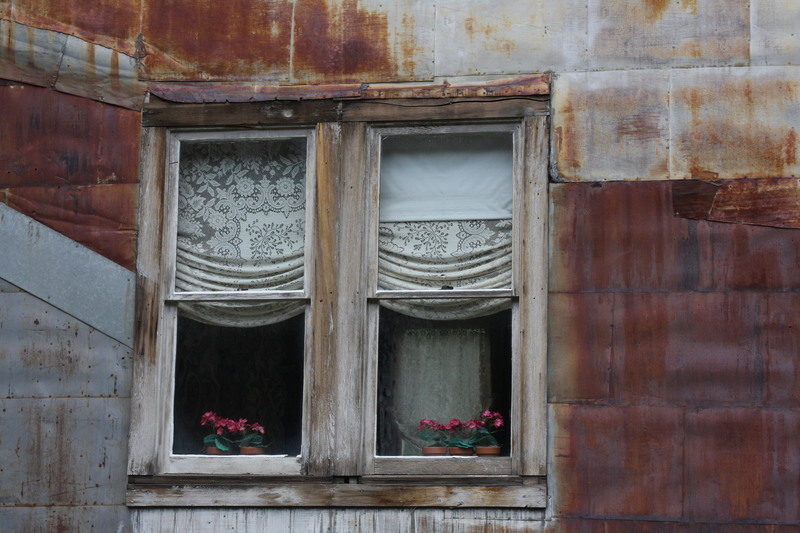 Windows intrigue me in photography, giving just a glimpse of the life that lies behind them. Warmth. Shadows. A suggestion of the owners taste in lace curtains, beads, brocade. A suspicion of age and weather in cracks and dust. A hint of ghosts. 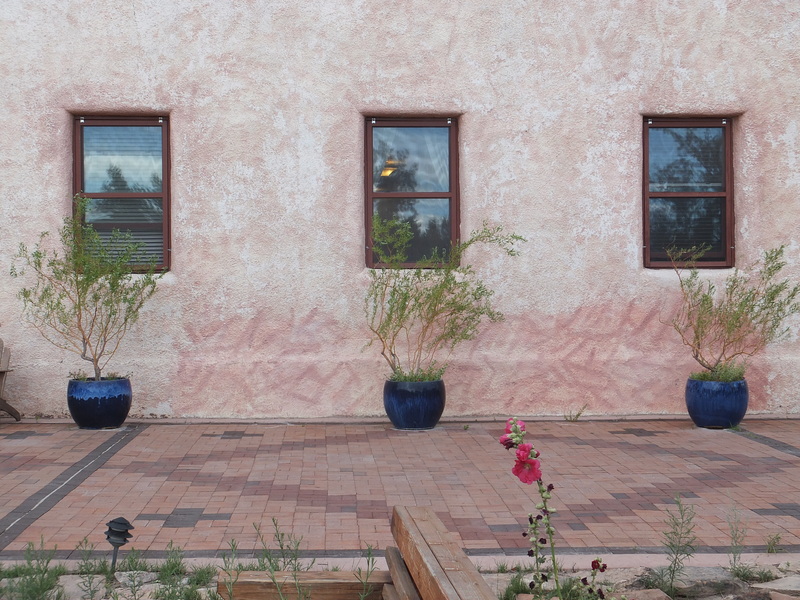 MKL and I have been off the grid, spending three blissful days at Ojo Caliente Mineral Springs in northern New Mexico. It has taken me some time to grow to love New Mexico, and some of the landscape is still too stark for me to feel it in my soul, but the sky is a clear blue that I have never seen anywhere else, the quality of light is magical, and the earth has little to hide. Ojo Caliente was historic, lovely, and soothing. They had six soaking pools, and each had its own energy. I”ll share more pictures from our trip this week. 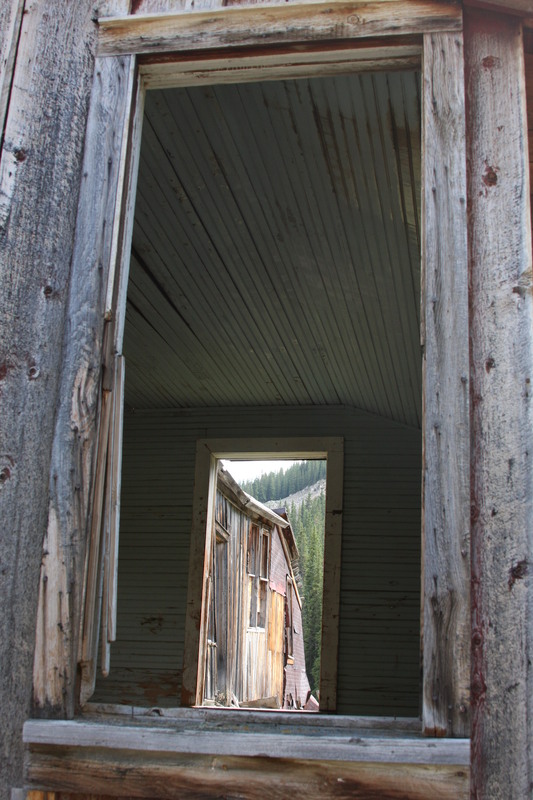 The Mary Murphy Mine above St. Elmo is abandoned and (fortunately) one place that we could explore to our heart’s content. We just had to be careful not to fall through the floorboards.